To evaluate whether 3D-printed vertebrae offer realistic haptic simulation of posterior pedicle screw placement and decompression surgery with normal to osteoporotic-like properties. A parameterizable vertebra model was developed, adjustable in cortical and cancellous bone thicknesses. Based on this model, five different L3 vertebra types (α, β, γ1, γ2, and γ3) were designed and fourfold 3D-printed. Four spine surgeons assessed each vertebra type and a purchasable L3 Sawbones vertebra. Haptic behavior of six common steps in posterior spine surgery was rated from 1 to 10: 1–2: too soft, 3–4: osteoporotic, 5–6: normal, 7–8: hard, and 9–10: too hard. Torques were measured during pedicle screw insertion. In total, 24 vertebrae (six vertebra types times four examiners) were evaluated. Mean surgical assessment scores were: α 3.2 ± 0.9 (osteoporotic), β 1.9 ± 0.7 (too soft), γ1 4.7 ± 0.9 (osteoporotic–normal), γ2 6.3 ± 1.1 (normal), and γ3 7.5 ± 1.1 (hard). All surgeons considered the 3D-printed vertebrae α, γ1, and γ2 as more realistic than Sawbones vertebrae, which were rated with a mean score of 4.1 ± 1.7 (osteoporotic–normal). Mean pedicle screw insertion torques (Ncm) were: α 32 ± 4, β 12 ± 3, γ1 74 ± 4, γ2 129 ± 13, γ3 196 ± 34 and Sawbones 90 ± 11. In this pilot study, 3D-printed vertebrae displayed haptically and biomechanically realistic simulation of posterior spinal procedures and outperformed Sawbones. This approach enables surgical training on bone density-specific vertebrae and provides an outlook toward future preoperative simulation on patient-specific spine replicas. The online version of this article ( https://doi.org/10.1007/s00586-018-5847-y) contains supplementary material, which is available to authorized users. 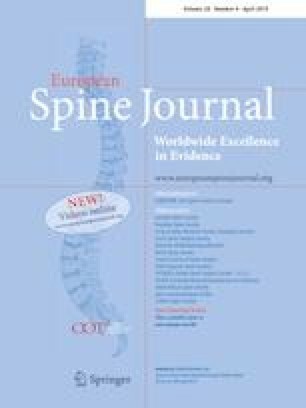 The authors are grateful to Dr. Michael Betz, Dr. José Spirig, and Dr. Cyrill Dennler, Department of Spine Surgery, Balgrist University Hospital, for thoroughly assessing the vertebrae surrogates and to Dr. Lazaros Vlachopoulos, Fabio Carrillo, and Michael Hecht, Computer-Assisted Research and Development Group, Balgrist University Hospital, for their helpful support in the vertebrae construction. The authors gratefully acknowledge generous financial support by the Canton of Zurich (HSM II grant). The presented study was conducted in accordance with Swiss and international law requirements. Ethical board’s approval was obtained from the Ethical Committee of the Canton of Zurich, Switzerland (ID: BASEC Req-2017-00334).